A Florida foreclosure suit is the legal process by which a lender sues the borrower to enforce a promissory note and mortgage. It is a real lawsuit and should be treated as such. Seek advice; do not ignore it! Your legal rights and financial future are at stake. You do not want to lose your property and be pursued for the deficiency. You likely have defenses or counterclaims that would serve to reduce or offset the amount otherwise owed under the promissory note and mortgage. Therefore, if you have been served with a foreclosure suit summons or Lis Pendens, seek competent legal advice immediately. You didn’t get to this point alone- the lenders created this bubble and they should bear some of the responsibility for the outcome. Ben Hillard, principal of Castle Law Group and former mortgage banker will help you develop a strategy to give you the best chance of accomplishing your litigation goals. 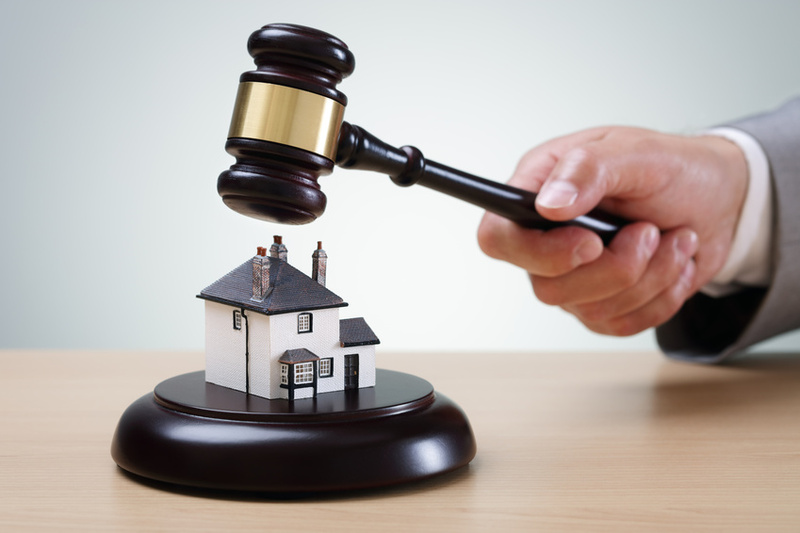 Defending a foreclosure suit is often critical leverage to achieve your desired outcome. Foreclosure defense goals include either avoiding a deficiency or getting a loan modification. ]. Additionally, being served with a foreclosure suit does not necessarily mean that the lender will not modify your loan, approve a short sale or agree to waive deficiency in exchange for the property. Lenders frequently pursue dual tracks, a foreclosure on one hand while trying other loan resolutions with the other. As a former banker, Ben can explain lender motivation and help you set realistic goals relative to your unique legal and financial situation. A large number of our clients have the present ability to pay their mortgages, but they anticipate retiring, changing jobs, moving, downsizing or upsizing but can’t because they are significantly upside-down. No one wants to deplete their retirement savings paying a deficiency. Understanding your legal rights and developing a strategy to fit your unique financial situation and financial goals provides a significant amount of peace of mind. Why Defend a Foreclosure Suit? Defending a foreclosure suit can provide not only legal leverage but also time to get a loan modification, to conduct a short sale or to avoid a deficiency. The FIRST and best reason to defend a foreclosure suit is to gain legal leverage for use in attempting to get the lender to agree to refrain from pursuing a deficiency judgment, alleviating you from the entire debt in exchange for giving up the property. It would be horrible to both lose the property and be chased for a deficiency judgment – a judgment that could trouble you for up to 20-years. If other potential loan resolutions fail, you absolutely don’t want to be dinged with a deficiency or deficiency judgment. Because a foreclosure suit seeks to establish the amount of the debt, to the penny, defending the suit is your opportunity to raise defenses that would serve to reduce or offset the amount otherwise owed to the lender. Let’s say a lender is owed $350,458.46 under the note and mortgage. However, such legal damages should be offset or reduced by the amount of such damages that the lender caused itself to suffer by instructing the borrower to cease making payments in order to qualify for mortgage assistance or loan modification. Less the amount of damages that the lender caused itself to suffer by telling the borrower that the borrower needed to stop making payments in order to qualify for mortgage assistance : $????? Less the amounts the lender recovered from mortgage insurance or bailout funds : $????? Defending a foreclosure suit is your opportunity to raise these issues. Unless there is an appeal, once the judge determines the amount owed, such number is the amount owed for purposes of calculating a deficiency. Therefore, defending a foreclosure lawsuit is your best opportunity to avoid deficiency judgment. SECOND, defending a foreclosure suit may provide legal leverage to get the lender to modify a loan or even reduce the principal balance. In fact, it is likely that your lender has set aside a number of loan modifications to go towards resolving contested foreclosure cases. From the lenders’ perspective, because loan modifications typically result in balance sheet losses [writing down the value of a loan], lenders only modify a certain number of loans in any particular accounting period. While there are multiple other factors which are not discussed here, the lenders are very cognizant of how many and what types of modifications they approve. Therefore it is reasonable to assume that the lenders set aside a number of loan modifications to be used to resolve contested foreclosure cases. THIRD, and mainly as a side effect of aggressively defending a mortgage foreclosure suit, the lawsuit could take years during which time you can gain legal leverage to force or convince the lender to modify your loan or to let you off the hook for a deficiency. Additional time often provides an opportunity for borrowers to take advantage of the latest government program to assist borrowers caught in the wake of the real estate crash. Many people struggle with the whole idea of not making mortgage payments. While stopping or ceasing payments on your mortgage loan is probably a historically unique idea for you, so is the idea that you should owe twice as much as your house is worth. Very frequently, our clients tell us that they have drained their savings and retirement accounts and were then forced to stop making their mortgage payments because they simply did not have the money. While this situation is extremely hard to face, it is better to face it and deal with it while conserving assets, than to ignore it until you are completely out of options. Historically, if someone suffered a job loss, needed to relocate, or was retiring, they would simply list their property for sale, sell it, pay their lender and put the equity in their pocket. Today, for most Floridians, that is simply no longer an option. Who is responsible for you being upside-down on your mortgage loan? While you are partly responsible, you didn’t get here alone. The lenders created this real estate bubble and in their greed continued to lend into the bubble, knowing that eventually the bubble would burst leaving you and others grossly upside down. There is a negligence concept that provides that between two innocent parties, the party in the better position to assess the risk … should bear the loss. The lenders, with their teams of analysts, certainly knew they were creating a bubble. Additionally, the lenders created the bubble in the first place by deviating from historically-sound lending standards and adopting high-risk standards that encompass: stated income loans, no document loans, negative amortization loans, and 100% financing. For more detailed information on the lender’s role in creating this real estate bubble, read “How Banks Caused this Real Estate Bubble: Ben’s Take on Strategic Default”. We frequently hear, “I’ve never not paid anyone my whole life.” However, I would suggest that any person who is grossly upside-down meet with a competent lawyer to discuss the situation, consider options and develop a strategy. Yes, I know, a “competent lawyer” is often an oxymoron. Each person’s legal and financial situation is different; don’t just assume what worked for your neighbor will also work for you – seek good advice.